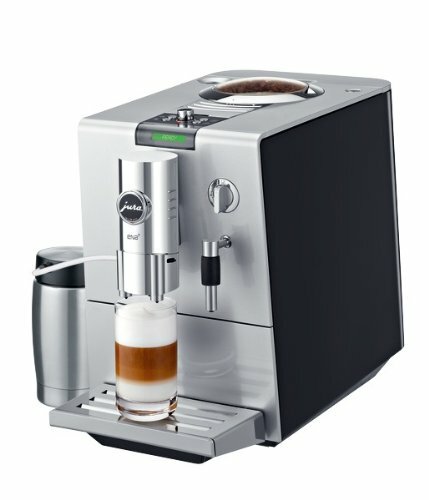 This Jura Ena 9 One Touch Review (Model 13572) will explain why this is such a spectacular automatic espresso machine! Anyone that’s tried coffee from a Jura machine knows how difficult it is to drink anything else. 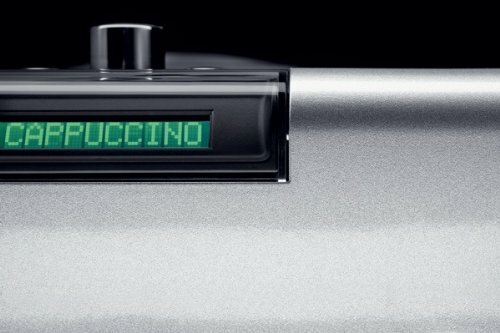 This Swiss brand has an established track record for making top-notch espresso machines and this one is no different! The Ena 9 is not your run-of-the-mill Keurig coffee maker. It is a heavy duty professional machine capable of making just about any drink you’d find at your local Barista shop. Jura has also included a 2 year manufacturer’s warranty with purchase of this unit. If you’re thinking about purchasing a high-end all-in-one machine, this is a worthwhile suitor. As you can see, the Ena 9 is a very versatile machine. It is akin to something you would see in a professional coffee shop. The best part is that it can perform any of these functions with the simple push of a single button. You don’t have to worry about activating the coffee bean grinder or frother. Instead, just hit the button and everything will come together like a beautiful symphony. Jura has done an excellent job at engineering this machine so that all of its moving parts work in harmony with one another to provide the user with a seamless coffee making experience. As if this wasn’t enough, the unit also contains an integrated rinsing unit which provides fast, and more importantly, automated cleaning. This machine really takes care of everything all on its own. The Ena 9 contains a height-adjustable head so that it may be raised and lowered depending on the size of the desired cup. This is a very convenient feature as it reduces the chance of coffee splash-out during the brewing process. This unit has the ability to actually control the amount of water that goes into each drink. This gives you supreme control over the drink’s strength and consistency. 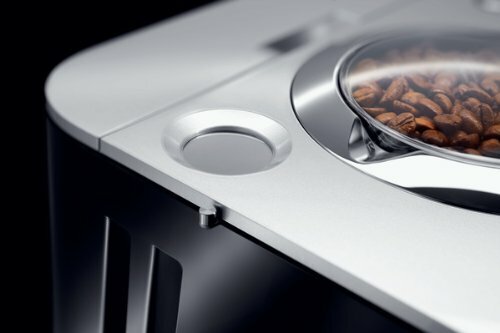 In addition, the unit has an adjustable, conical burr grinder which allows you to choose how finely to ground the coffee beans. We previously mentioned the automatic frothing feature of the Ena 9. This is done by attaching the included hose from the the head of the unit into a container filled with milk. The machine will take care of the rest. The thermoblock heating system provides efficient and fast heating of the water and is coupled with a powerful, high-performance 15-bar pump. This unit also comes with an automatic energy saving mode which drastically reduces energy consumption when the machine is idle. If you’d like to take it a step further, you can use the programmable timer to turn the machine off up to 9 hours in the future. The Jura Ena 9 measures in at 9.4″ wide by 14.2″ high by 17.5″ deep and weighs 20.7 lbs. (for a more compact version of this machine, see our review on the Jura Ena Micro 9). As a result of this slim profile, the water reservoir is only 36.8oz. This is more than suitable for a few cups of your favorite beverage but you may want to look elsewhere if you want to go extended periods of time without refilling the reservoir. 84% of Amazon reviewers put this item between 4 and 5 stars. People absolutely swear by this espresso machine. They find that the quality of this machine is second to none. It produces such a rich and savory taste that they’ve never experienced from a consumer machine before. They also love that both the drink production and cleaning process are fully automated. People appreciate that they can have such a quality and yet passive machine in the comfort of their own homes. Many state that cleaning is an absolute breeze. They like the fact that the display screen notifies them of the machine’s cleaning status. Believe it or not, people have also found that over time this unit has saved them a good deal of money. They find themselves making their drinks at home instead of frequenting their regular coffee shops. 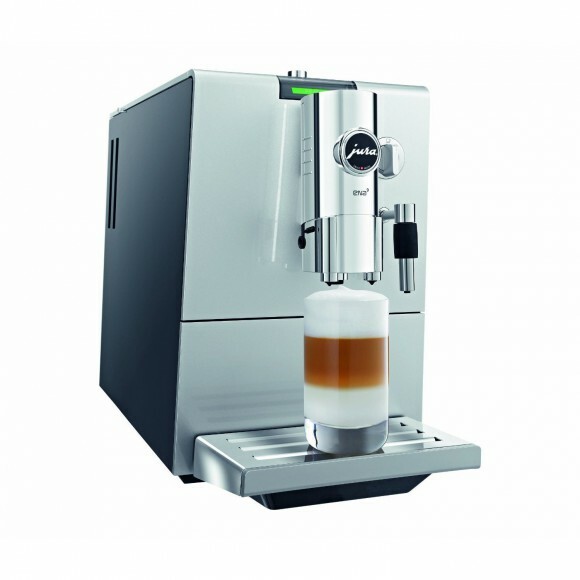 The Jura Ena 9 was designed with the coffee snob in mind. 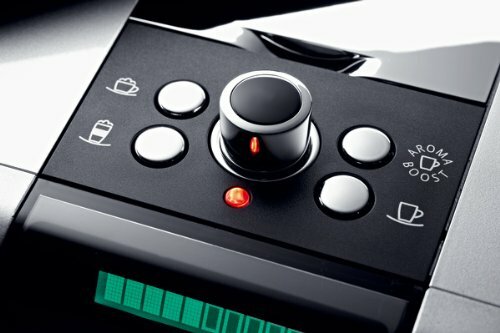 This automatic espresso machine does so much more than its competitors and does it to perfection. 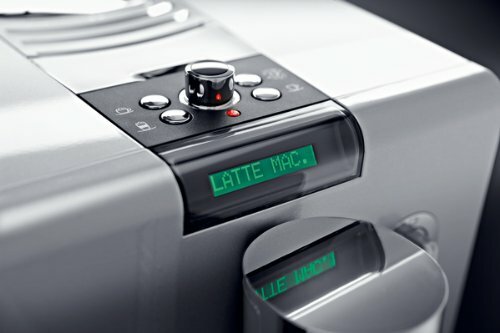 If you’re a coffee lover, this is certainly the machine for you. Once you start drinking coffee from a Jura machine, you’ll never go back to Starbucks again! 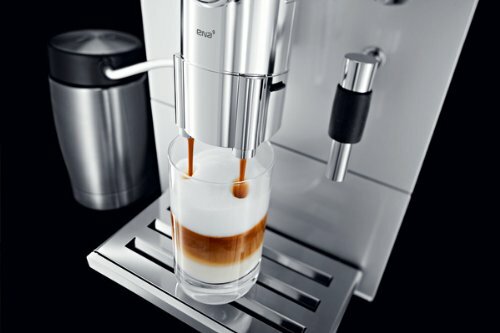 If you’ve been thinking about getting a high-end espresso machine for your home or office, put the Jura Ena 9 One Touch Espresso Machine at the top of your list. For a smaller, less expensive Jura espresso machine, check out the Jura Ena 9 Micro! We hope you enjoyed our Jura Ena 9 One Touch Review. Please feel free to share or leave comments below! Jura Impressa J9 Review: Stick with the Ena 9! Great review and I enjoyed the video that was added. I’m sold on this machine! We’re so happy that our review helped you with your decision! It’s a fantastic machine that we’re sure you’ll enjoy for many years! I have been looking for an espresso machine to purchase for my husband because his birthday is in a few weeks. He is an obsessed coffee drinker and we have a regular Keurig machine but he is always talking about how great espressos are and I wanted to surprise him with a really good one. I think this one is great, and you listed so much information about the Jura Ena One Touch that I didn’t have any confusion. And you can even make cappuccinos, which is personally my favorite way to consume coffee, so my husband and I will both be satisfied. Great post! We’re happy that our article was helpful for you guys! Please let us know how you like it once you’ve tried it out! The Jura Ena 9 One Touch Espresso machine looks totally amazing! I love design of this machine, the great features it boasts, and even the positive feedback rating it gets from customers. I will definitely follow your link to Amazon to check out the Jura Ena 9! We know you’ll enjoy this machine. The quality of the drinks are second to none! Let us know how it works out for you! Good luck! The Jura Ena 9 certainly does sound like the ultimate coffee machine, And all automated too, including the cleaning. Does this machine take actual coffee beans or does it use capsules? I much prefer the taste of freshly ground coffee over the capsule variety. There’s no comparison in my opinion. As far as Starbucks goes, I never drink their coffee anyway, so he Jura should easily be able to outperform Starbucks quality. The unit accepts coffee beans which are placed directly into the top of the unit. The integrated multi-level conical burr will grind them up as fine as you’d like. Jura can run with the best coffee shops out there. In fact, many of those shops actually use Jura machines. Cut them out and get one of these guys in the comfort of your own home! This is a really thorough case for buying this espresso machine. One of the best things for me is the one-button approach and the ability to control the strength. Sometimes I find the strength can take away from the flavor if the balance is wrong. And it is amazing that you can save money by making drinks at home! I think it is well worth pursuing since I love coffee! Thanks for including a video – it really helps to understand the model more. We’re glad we were able to provide you with helpful information. If you drink coffee or any of these other drinks daily, you will certainly save money over time. You will also have the added convenience of making these drinks from your home or office. We’re glad you enjoyed the video. Stop by again soon! Thanks for your recommendations on the Jura Ena 9. I have been searching the internet for reviews on this item but happened to stumble upon your review. I have been thinking about buying one of these higher end machines for a long time now. Since it includes a good warranty, I think I will go with this one and enjoy it from my house instead of going to the store every morning. Thank you for the suggestions! We’re glad you happened to find this article because it really is a wonderful espresso machine. Especially when considering the 2 year warranty from Jura! We’re sure you will be very pleased with this machine as it has received plenty of great reviews.